When you buy a new mattress some if it comes in a polythene wrap. Make sure to remove it before using your new mattress. Keeping the polythene wrapper in it makes the mattress moist and damp. Mildew as well is likely to form in the foam when you would not peel the wrapper away. Take off the wraps completely unless the manufacturer tells you not to peel it off. A bed frame is not just a bedroom furniture . Your mattress needs a good and proper place to rest, just as our bodies need the support of a great mattress. It is important to find the right frame for it. It is better to purchase a box spring and mattress as a set to make sure that both pieces will harmoniously work together. 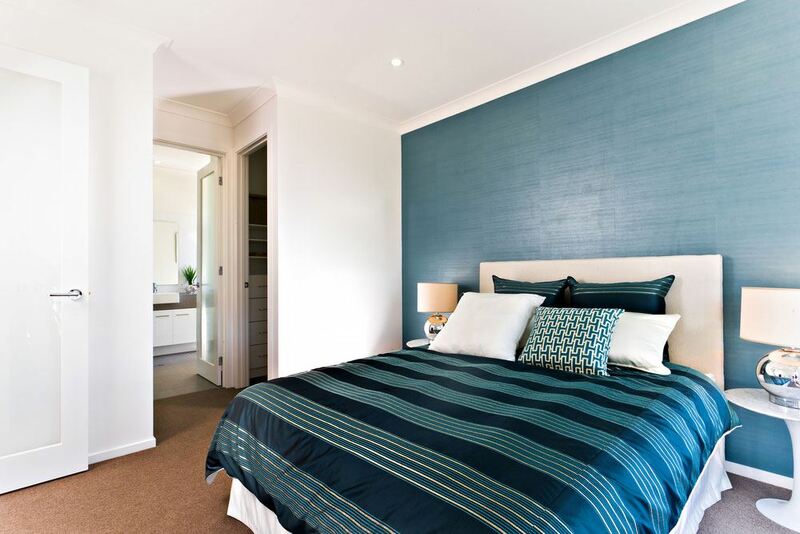 Bed frames for large mattresses, such as king-sized and queen-sized mattresses, requires full-width slats or center support to span wider width. It is not advised to put a mattress on top of the base which is not used for it. Flip and rotate your mattress occasionally. Through this, you can get even wears on every side of the mattress and its surfaces. Sleeping on the same side of the bed can create a depression on that side and it will be uncomfortable if you plan to use your mattress for along time. Flipping it from back to front and rotating the mattress 180° will make it last longer. However,this would not work in pillow-top mattresses. This would also make your mattress could free of sagging which you is what you get from sleeping in the same spot constantly. Having a sweet dream is the goal. However, accidents happen. Make sure to protect your mattress with mattress pads to prevent a messy mishap. 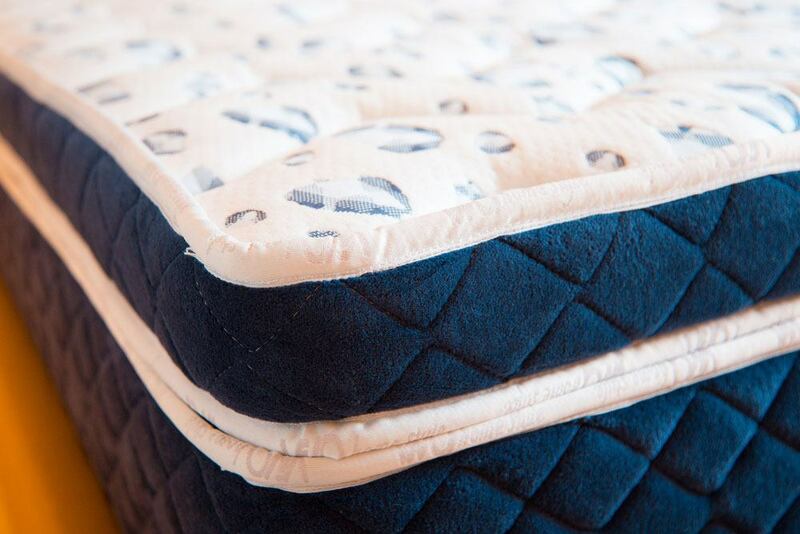 Mattress pads will absorb spills and moisture before it could soak through your mattress. 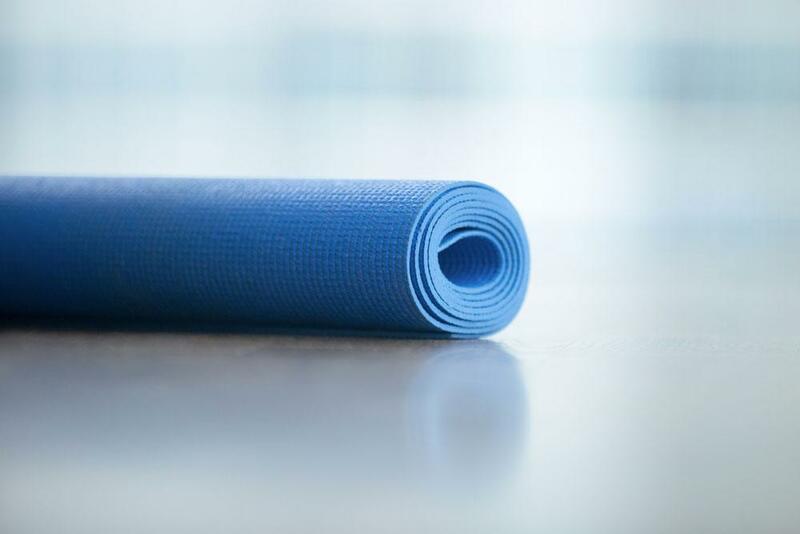 It is suggested for people to buy comforters and pillows made from synthetic fibers. You might also want to encase your pillows in vinyl covers for additional protection. You should vacuum your mattress on a regular basis to keep it clean and fresh using a high-powered vacuum cleaner with a good HEPA filter system . All bedding from the mattress should be removed first. Make sure your vacuum brush is clean. 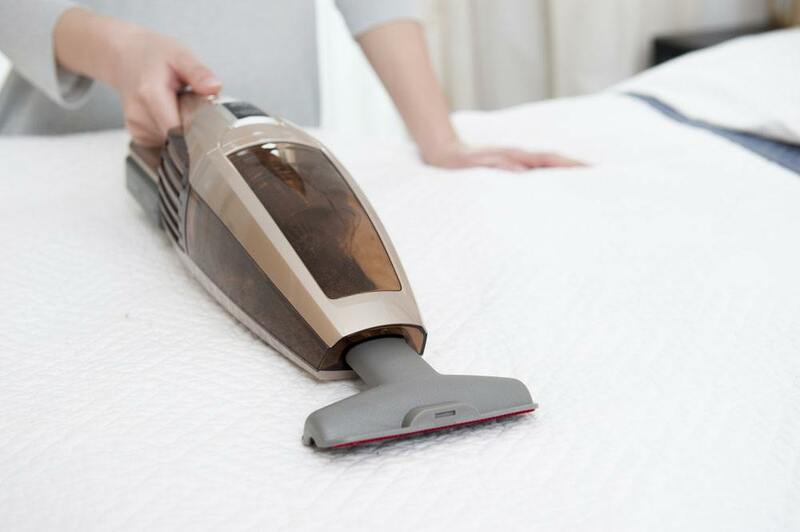 Using the vacuum’s brush, you must vacuum every side and the surface of the mattress. You can remove the dust mites which feed on body waste and skin flakes through dusting and vacuuming. These mites multiply over the years.They will multiply inside your mattresses up to the point where it is estimated that half of the weight of a 10-year-old mattress is caused by the dust mites and the dust mites’ leavings. If you see a family member wake each morning with sneezing noses and puffy eyes, it is already time to control the allergens in your bedroom. Fight back against dust mites﻿, dust, pollen, and dander. Placing it under the heat of the sun would also help in cleaning it as direct sunlight can naturally disinfect it. This would also dry the foam inside and take away the moisture that is trapped which can generate molds and allergens. Clean mattress stains as quickly as possible. Blood, urine and spilled drinks could leak through sheets and could stain your mattress. Blot the stained area to remove as much as liquid as possible. Then, fill an empty spray bottle with hydrogen peroxide to the stained part and let it sit for about five minutes. Wipe the stained area dry and sprinkle baking soda all over the stained area. Let it sit for several hours and brush the baking soda off. Repeat the process in case stain still persists. You could also use dry suds which is recommended by manufacturers to be used on mattresses. Place a generous amount of liquid detergent in a mixing bowl. Mix it and add a teaspoon of water at a time. Use the foam and rub it in the stained area using a brush or sponge carefully and make sure that the padding below would not get wet. Let it get thoroughly dry and replace the bedding. Wash your bedding often in hot water. 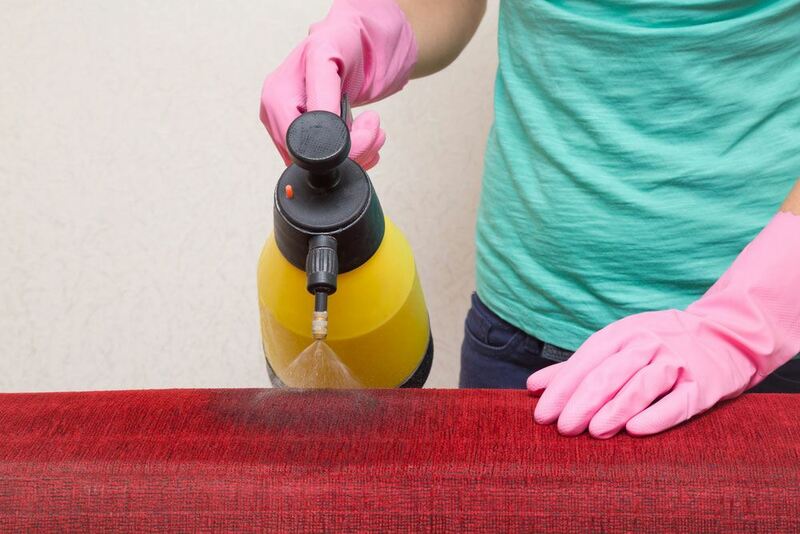 To kill dust mites, a temperature of 130 degrees Fahrenheit is needed. Washing with cold water would not be effective with mites because they could survive cold water washing. Wash your bed sheets and pillowcases every week. One of the basic house keeping tips that you must be responsible enough to do is this. It is not just to keep your mattress clean but this would also practice your good hygiene as well. 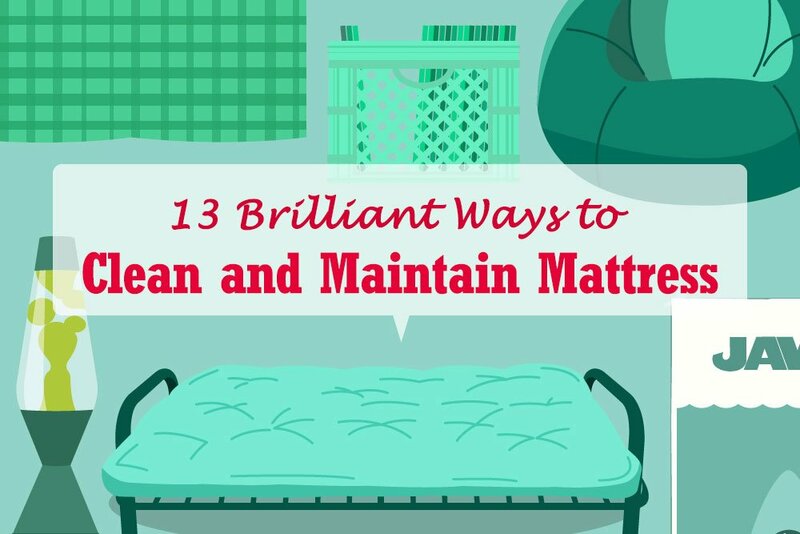 Also give your comforter, pillows, and blankets a wash every month or every after six weeks. Put the bedding in a hot dryer if you can’t wash it in hot water for about 20 minutes after that wash it in tap water and let it dry. Leave the window and door of your room open in the day. It is a good and easy way to keep your mattress fresh. Your body’s moisture evaporates from the mattress, making it clean and dry as air can circulate inside your room. This should be made a habit every morning. Half an hour should be allocated to keep the mildew away and air your room. Keep temperature and humidity low. Research suggests people sleep in an environment with cooler temperature to sleep well. Dust mites also die when there is an insufficient amount of moisture in the air. Additionally, dust mites hate low temperatures since they could not be able to breed when there is not enough moisture in the air. In places with humid climates, you should use a whole-house or portable dehumidifier to reduce house’s humidity levels to between 30 percent and 50 percent. Some people love to sleep with their pets. However, it is suggested to keep your furry pets away from your bed since they bring in dust particles and dander. Even well-groomed animals drool, walk outside and shed cells and hair just like people, and some of that ends up in your bed. Your pets can also have the occasional accident, which can ruin your good mattress. 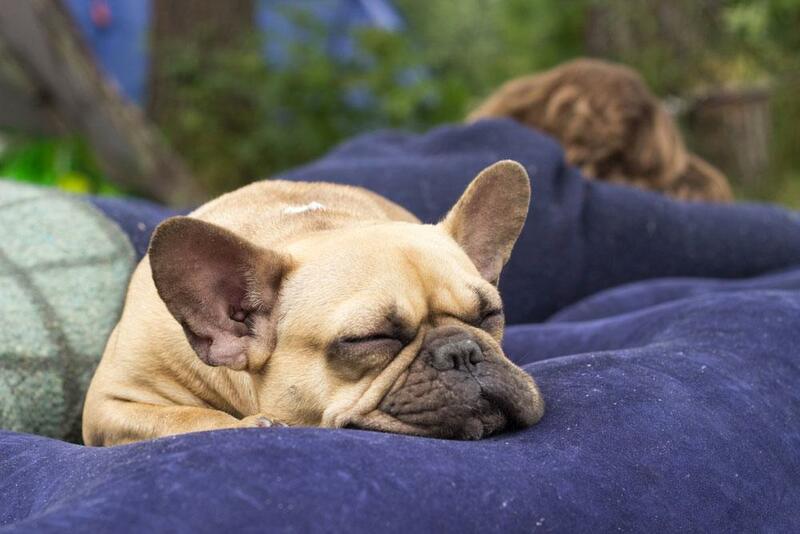 There can be multiple ways to maintain the sturdiness and cleanliness of your mattress but this would not work if you keep your furry pets in your bed. You should give your pets their own sleeping place so and have the mattress for yourself. 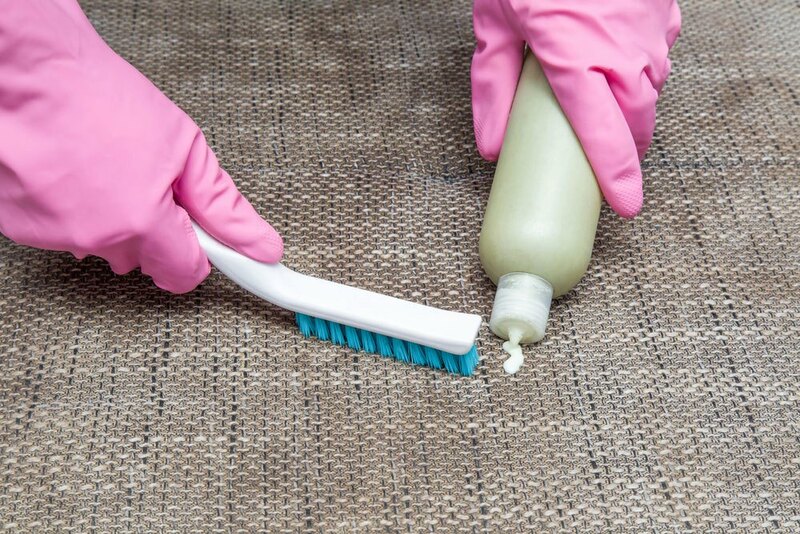 Additionally, it can make your mattress more susceptible to dirt and dust. Consider your bed as your personal space which should not even be intruded by your pet and make it up to them by walking them in the morning. However, if you would really love to sleep with your pet, make sure to bathe them and vacuum the bed in the morning. If you have furry pets and you managed to keep them away from your bed, you might also want to keep your stuffed toys away from your bed as well. Stuffed toys can be a comfort to children of all ages. They could not produce real pet dander but stuffed toys can get dirt particles and dust mites. 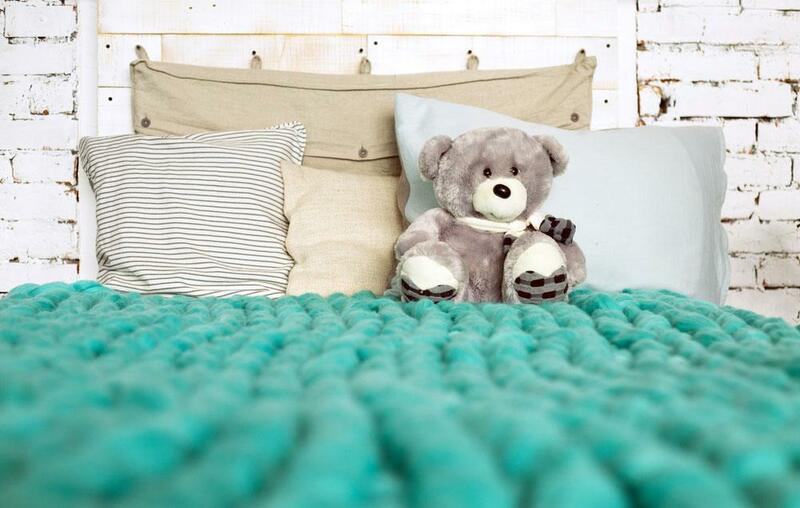 These items can ruin your good night’s sleep so you better kiss teddy goodbye. Mothers always told us not to jump on the bed, and she was not wrong about it. We all know that kids enjoy and find it super fun to jump on the bed but the poor mattress hates the practice. Your mattress can take sufficient wear in its lifespan without you speeding up its deterioration. Jumping will damage your mattress’ box spring, internal composition and even the frame. Jump on a bouncy surface if you’re really itching to do so or buy a trampoline instead. Avoid rolling up your mattress when you move it. Folding it can create permanent distortion and creases. It is better to ask for help to others if you can’t move it alone. You can also secure it with a plastic wrap for scratch and damage prevention. 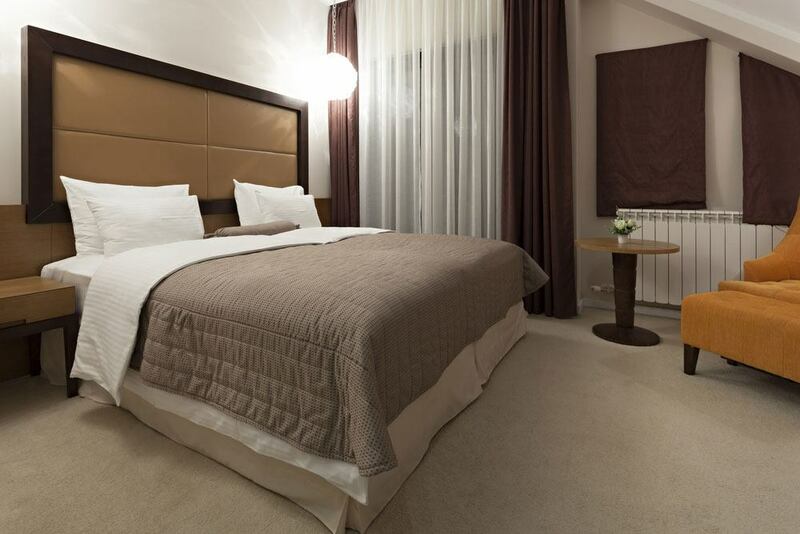 Make sure that your cover is tightly and properly sealed to keep dust and dirt from forming in the mattress. Your sleep is crucial to your daily life and having a good mattress would definitely impact a person’s sleep. It is important to treat your mattress with love and care because at the end of the day it will be placed where you come back and take a good night’s sleep. Through cleaning it and maintaining it, you can extend your mattress’ life and get better sleep and reduce the chances of getting sick.